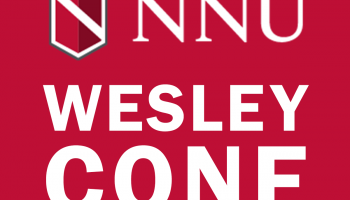 Last month, the Wesleyan Theological Society met in Nampa, Idaho for their annual conference. This year’s theme was the atonement. This gave my husband and me an opportunity to research and present a paper on 87 years of The Preacher’s Magazine’s treatment on the atonement. The following is the paper we presented titled, “Preaching Atonement: A historical review from nine decades of the Preacher’s Magazine.” Note: Since we co-presented, our names indicate who read which sections. JOEY – The 1920’s in America really began on January 16, 1920 with what was called the noble experiment, or the prohibition of the sale of alcohol, and then really ended on a black Tuesday, October 29th, 1929 with the Stock Market Crash. It also began with women in the US being able to vote for the first time under the 19th Amendment in August of 1920. A decade traditionally given the title the roaring twenties. In the middle of this decade, Hitler published Mein Kampf, A.A. Milne publishes Winnie-the-Pooh, and Martin Buber’s book, “I and Thou,” was published. America was caught up in the Scopes Monkey Trial from the small town of Dayton, Tennessee, while the world gathered to form the League of Nations. It was the decade that we saw the very first Mickey Mouse cartoon, bubble gum was invented and thanks to Otto Frederick Rohwedder, for the first time in 1928, we could actually say the “greatest thing since sliced bread” – since he invented the automatic bread slicer a decade before but partnered with Wonder bread to package it. Then in 1928 we saw, or should I say heard, The Jazz Singer – the very first talkie, which slowly brought an end to silent pictures. TAMMY – Also, in 1926, J. B. Chapman launched The Preacher’s Magazine as “a journal devoted to the interests of those called to preach the full gospel.” He went on to describe, in his first editorial, that this magazine was never intended to serve only Nazarenes, but be open to all preacher’s in the Wesleyan-Holiness tradition. “The central purpose will be to help preachers to preach holiness effectively where they are…,” wrote Chapman. 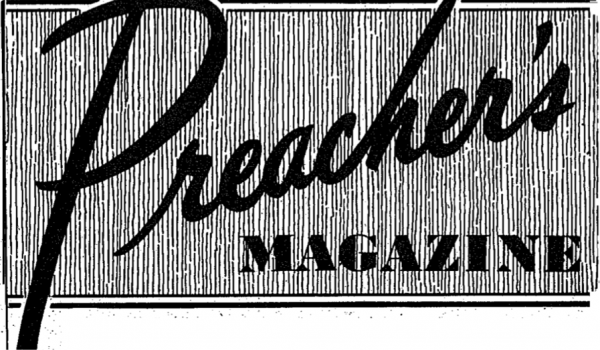 As such, The Preacher’s Magazine has a substantial collection of sermons, articles and commentary gathered and published across nearly 9 decades. This resource shows the traditional thinking and preaching on the atonement by a wide range of prominent theologians and influential pastors, as well as the every Sunday morning preachers of the last century. JOEY – The purpose of this paper was to examine the 87 years of The Preacher’s Magazine’s approach to the subject of the atonement contextually throughout the twentieth century. The research that follows surprised us and after a whirlwind tour through last century, we will share our conclusions. was a battle waging within the American Presbyterian Church, and it affected and was reflected in many other mainline denominations. The crisis was this: with the growing popular confidence in science, in particular evolutionary theory, and the growing influence of humanism, and the rise of Biblical higher criticism, the struggle became in discovering and determining the role or influence of Orthodox Christianity would have in a modern, scientific culture? TAMMY – On the other hand, Fundamentalists like William Jennings Bryan wanted to return to the basics and held that there are five core doctrines that were essential and necessary for the Christian faith and one of those fundamentals was the belief that Christ’s death was an atonement for sin. 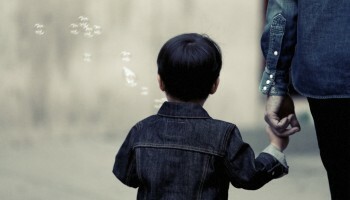 JOEY – Surprisingly, this fundamentalist belief was echoed and affirmed in the early years of The Preacher’s Magazine. In fact, in an editorial by C. E. Corsell in the March 1926 edition, titled A Baptist Pronunciamiento, the official resolution of the Baptist Bible Union of North America was published in the Preachers Magazine to express Wesleyan’s support of the disapprovalof the principles of the Rockefeller- Fosdick “new movement,” which was the leading modernist, or liberal wave of Christianity of that day. JOEY – A further tribute and recognition of this battle is that on the cover of the January 1, 1927 Preacher’s Magazine was a portrait of William Jennings Bryan, one of the early generals in the fight against Christian liberalism, defense attorney in the Scopes Monkey Trials, and a very strong Calvinist, who passed away just 18 months before this edition was published. JOEY – E. E. Wordsworth warned of mission drifting, or preaching on trivial things. He declared in his article, A Message vs. a Sermon that, “A Gospel message should deal with vital and fundamental things in the main . . . Preach on the great themes . . . evangelical repentance, a blood atonement, regeneration, sanctification, etc. We believe there is enough in these great themes of the Bible to occupy the minister’s time and attention for a lifetime.” (pg. TAMMY – These were the expressions of the doctrine of the atonement as expressed in the early years of The Preacher’s Magazine. JOEY- The battle lines were firmly fixed and there was a clear understanding of the meaning and purpose of a Wesleyan view of the atonement, how it related, not only to a believer’s salvation, but to their sanctification as well. 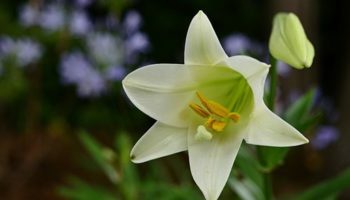 TAMMY – For the next several decades the Wesleyan voices on the atonement were strong and consistent remaining the same. Strong and clear. The view of the atonement was relatively unchanged. JOEY – The voices however, became those more of leadership and theologians, and less of the average pastor – but those voices continued to echo the refrain. TAMMY – As we approached the middle of the 1980’s, the use and frequency of the term atonement dwindled to a point where it all but vanished in The Preacher’s Magazine by the turn of this century. JOEY – the question before us this today is, is that burden of full salvation NOW through the perfect atonement of Christ all but been replaced by other priorities of the gospel? As we entered into the 1980’s in The Preacher’s Magazine, this question was asked – Who Cares About Theology Anymore? in an article by C. S. Cowles, Professor of Religion, Northwest Nazarene College. TAMMY – And after that, the references to the atonement became less frequent and slowly disappeared off the pages of The Preacher’s Magazine. On the threshold of a post-modern, post-Christian World – Cowles article was truly timely and prophetic. and pastor of the historic, interdenominational Riverside Church in New York City, founded by philanthropist John D. Rockefeller Jr.
JOEY – In addition, there were subsequent articles expressing what one could learn from Fosdick, his sermons and his writings – to embrace him as an example as a preacher to follow. What does this mean? How have we arrived at this point? 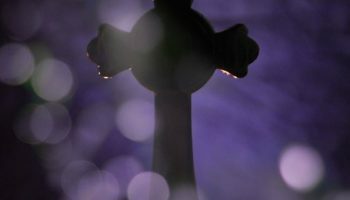 JOEY – Perhaps, as a denomination and as a Wesleyan movement, we have become more Modernist in our thoughts and theology – less dogmatic and concerned with doctrine, but more concerned with reconciling ourselves and the gospel with our culture. strengthening of our religion departments in our colleges and university, and in morerecent years additional publications like Didache and other resources available, the need to explain and affirm the doctrine of the atonement, and other theological positions became unnecessary, as other, more practical needs became prevalent for the craft of preaching. JOEY – A third possible reason was that The Preacher’s Magazine became more thematic in recent years, tackling more of the administrative and ministerial side of the preacher’s life. The need for theological clarity was replaced by practical theology equipping ministers with tools to handle the various diverse demands on the life of the contemporary minister and the average Christian. proclaiming of doctrine, and with the use of theological terms, but more relational and equipping through narrative and storytelling – giving our congregations the simple tools necessary to survive in this complex world. JOEY – There you have it, 87 years of The Preacher’s Magazine’s views on the atonement – but what does the future hold? One final observation, as we have spent nearly nine decades defining what The Preacher’s Magazine is and is not, we must admit that it is not meant to be a theological journal – but a preaching resource – and even though theology informs our preaching, it may not enter into the discussion anymore, and for good reasons. TAMMY – As the new editor of The Preacher’s Magazine, this publication is adapting to the digital age, it is now an online publication attempting to reach a new generation, a new age, with a global voice – not just select voices and not only from America, but from all regions of the world. The Preacher’s Magazine is inspiring the pastor’s heart with a passion for preaching.